There are 2 timer jobs in SharePoint that manage the Information Management policy. 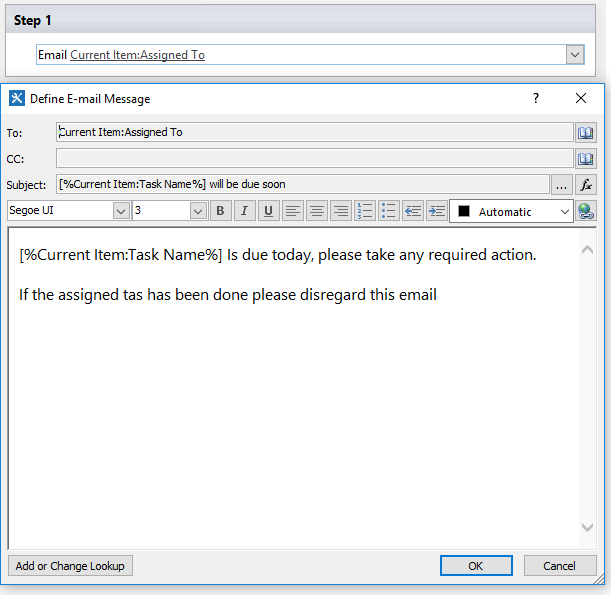 Expiration Policy timer job, which determines which items are expired based on rules, and Information Management Policy, which actions the expired items by running the rules. These jobs are run weekly by default. In SharePoint on premise you can manage how these jobs are run, but unfortunately you cannot do that in SharePoint Online. 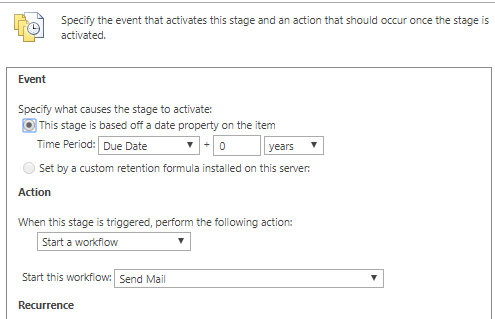 From what I understand from your business requirement, you might want to consider not using the information management policy at all, and handle the wait operation in your workflow using the workflow action "Pause until date" and set the due date. Not the answer you're looking for? Browse other questions tagged designer-workflow sharepoint-email or ask your own question. Can I make Workflow to select people without manual entry?